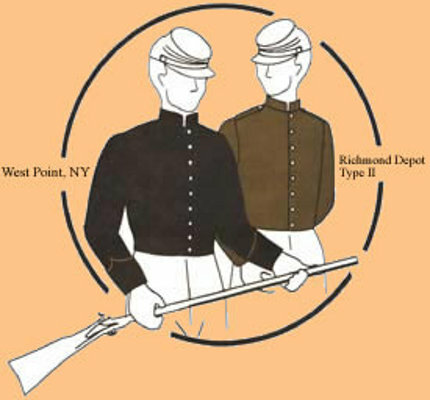 Before the Civil War, the single breasted shell jacket was the choice for all enlisted mounted troops. The short length allowed greater movement by artillery and horse mounted men and led to other troops sometime cutting off their coats to the same length. The bottom of this jacket is unfinished (raw) as were the originals. Jacket is plain without insignia. #V143 Lined single breasted waist length coat. Stand up collar. 7 button closure for Confederate, 9 button closure for Union.